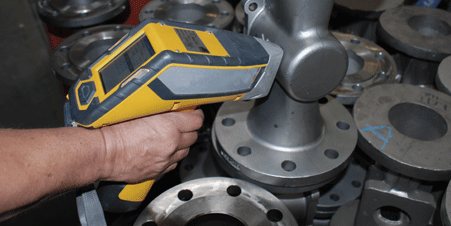 Intensive inspections with PMI material analyses, x-ray imaging, 100% leak test and many other controls in the production flow assure the high quality of the valves. 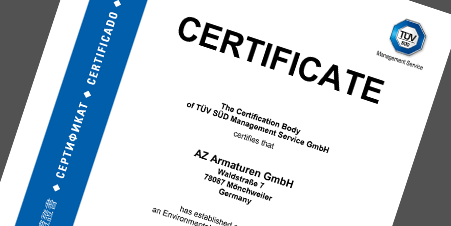 Extensive certifications in accordance with ISO 9001, ISO 14001 or SIL underscore the high quality standard. In addition to external test institutes and delivery acceptance procedures, quality management that is lived, is an important component of our daily work. The high proportion of special manufacturing or special designs require high precision with narrow manufacturing tolerances. A highly automated production is necessary due to the wide range of body shapes and valve designs. Multiple manufacturing robots and CNC lathes mill, drill, turn and polish with high precision and narrow manufacturing tolerances. Continuous innovation is our aspiration – a high vertical range of manufacture our strengh: we carry out all the processes of development and productioin in our own company. 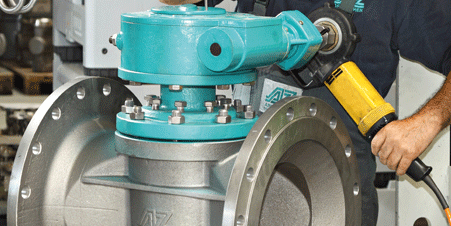 Every single valve is tested for leaks and function. AZ has always carried out 100% testing. Our own foundry assures quality right from the start.